How do you decide the best things to do on a group of islands as large as Andaman & Nicobar Islands? Let me help you! Trekkers and campers are called the Land lovers, with the most spontaneous minds and instincts,and some of them love to fly as they believe that ‘Sky is never the limit’ a.k.a. new country, new place, new people always cheers them up, but The Water lovers, are the Unique ones, who will enjoy reading this piece of article because you know you ARE definitely going on a life time adventure this year! Attention y’all nature lovers! Let this vacation may sway your feet off to Andaman and Nicobar islands! Aye aye! When planning a fabulous vacations like Andaman Islands, there are so many incredible places to visit with a family or solitude is what you prefer, we got the ALL details you need. So before you go booking that flight, let’s leave out the obvious places and remember, these are the best 7 Things you should definitely not miss out in Andaman – One of my all-time favourite places in the world. 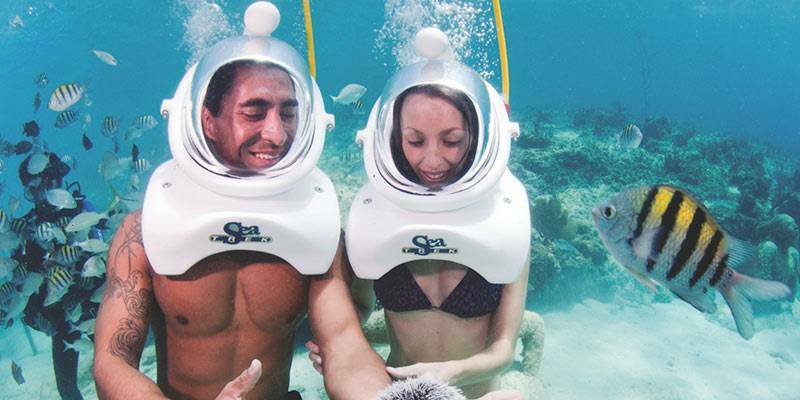 1) Sea Walk – Take a Walk Underwater, For a Change. ‘Sea Walk’ is not commonly heard anywhere but in Andaman. The word itself sets the spirit for an adventure. Walking under the sea on the seabed is something cannot be done on our day to day life. The sea walks at North Bay Island, an uninhabited island, which is quite close to Port Blair (starting point i.e. airport). The sea walk starts when you take a ferry to North Bay Island from Rajiv Gandhi Water Sports Complex. From there you are taken to the Pontoon in a small Dunghi (boat like). Now this is the interesting part, in the middle of the sea, you are submerged inside the water with the help of a small rope like staircase, with your transparent helmet on. There will be life guards accompanying you at all the time, to be on the safer side. You’ll feel like an astronaut walking underwater and finding types of fishes, corals but NOT asteroids. Enjoy your moon walk experience without the moon in the picture! Cinque –This place needs a special permit from the forest authorities to enter. It is a popular diving spot because the water is calm and beautiful. Cinque is an example for “No human habitation” as it is so close to the raw nature, the nature lovers will admire this as it contradicts the urbanized culture. It is a one hour journey in a boat to this place. It is a hidden spot from the tourists because dive sites are yet to be explored by them. Bala Reef – It is located at the west side of Andaman about 4.5 square km to explore. 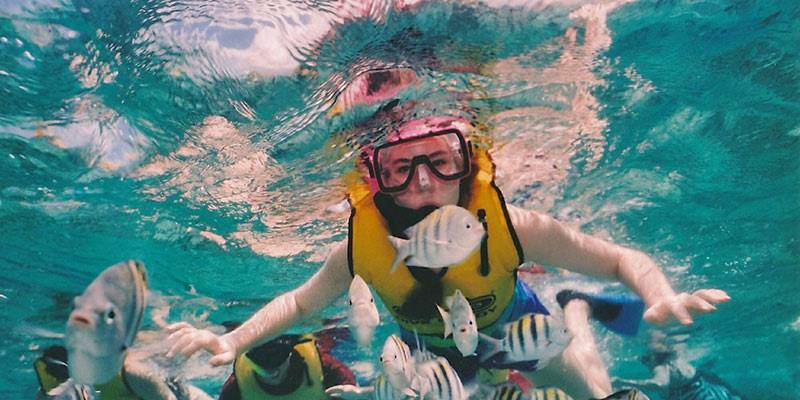 This reef is known for the most vibrant colours of fishes and coral reefs. Anybody can go down to this place and dive in. Fish Rock – It is located in Passage Island and takes 2.5 hours of journey. Fish rock is one of the most difficult diving spot comparing the others. It is advised for those who have good experience in diving. Corruption Rock – It is a huge rock about 30 meters deep consists of huge slabs of rocks around it. It is only visible for 10 to 15 meters underwater. Only people with intermediate diving lessons can dive in as the current is strong around corruption rock. November to May would be a very good time to explore here. Rutland Island – It is 109 square km island, located at the southernmost main island of Andaman. It is a remote place to dive and explore. What’s important is that, only selected few people can explore and there will be no crowd on the reef. 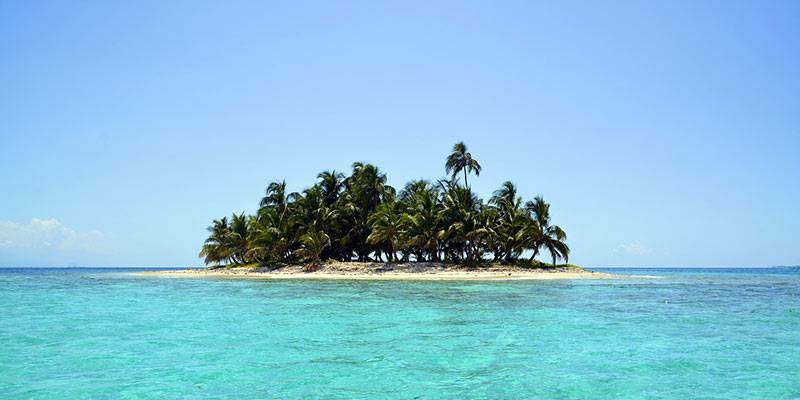 Snake Island – This Island is closer to Corbyna’s cove 7 km away from Port Blair. Apart from few restricted regions, this one has the good spot to dive on the month of October till May. There is something called the “Wreck Diving” for the professional divers out there. It is located at the Ducan Island, Andaman. Divers must be properly licensed and should be pink in health to dive in and explore the hard coral surf on the wrecked ship called “Inchket”, a Japanese ship wreck, which were the spoils of World War 2, which is now a habitat for thousands of fishes and artificial reefs on it. Don’t believe me? It is a hidden spot. Get going there before it gets ‘touristy’. Yikes! Kayaking is a water sports which you should never miss if you are in Andaman. You don’t have to be a pro to explore through the mangroves during day or night.It’s perfectly safe and all the necessary gears will be provided along with a professional guide. So don’t miss it by any chance. Mount Harriet to Madhuban – Mount Harriet is the third highest peak in Andaman Island. Also if you’re an Indian then take that 20 rupees note from your pocket and turn it over, you’ll find scenery of Mount Harriet. Mount Harriet National Park is an extended area of 46.62 square km. The park was established on 1987. A 10 km trek from the park to Madhuban, the virgin natural beauty with lush green forest. The trail connects us closer to the nature as we walk through the scenic places. Chidiya Tapu to Kala Pahad – This trekking trail passes through dense forest and the coastline ends at a cliff in Kala Pahad, this place offers the most beautiful sunset if the trek is started by afternoon to reach on time for the picturesque view. Havelock to Elephant beach – Hike about 30 to 45 minutes through the mangrove forest and marshy lands to the elephant beach and relax. Maybe some elephants can be spotted to have fun pictures and selfies with. Diglipur Island to Raman caves and Saddle Peak – Diglipur has the highest peak in Andaman which is the Saddle Peak. The trek starts from Lehmia Bay beach which is of 35 km from Diglipur. The beach is the starting point of the trek to saddle peak for 6 km which approximately takes 3 hours to finish this trek. This is one of the main attractions of all time at Andaman. 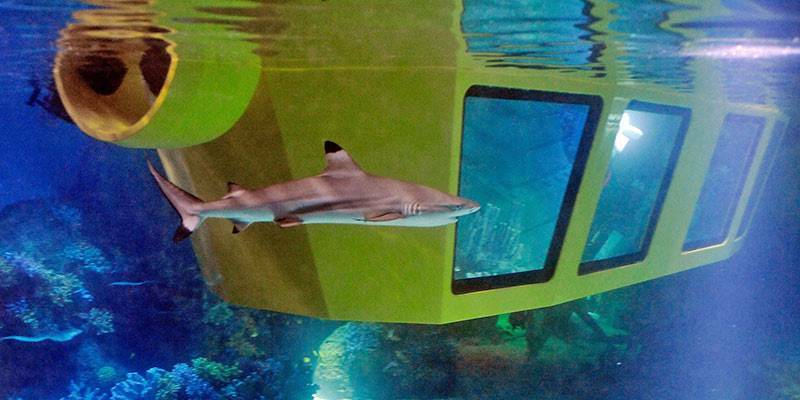 Night safari or Elephant safari through the jungle is on the land but, Coral Safari in a semi-submarine will take you to the jungle underwater! You’ll be submerged into the deep sea of fifty shades of blue in a most exciting way to look and gasp at colourful vibrant fishes and corals. The cabins are facilitated air-cons which will give you a thrilling experience for 2 hours. Those tiny curiosities you have will be magnified in front of you. Anybody can securely enter and exit this vessel. It’s once in a life time experience which enables you to see the most exciting life underwater and stunning deep-sea corals which will fascinate you and makes you wonder, “How on Earth did I miss this? !” so take this chance to swim or fly or run to this place, because you know, you don’t want to miss this! 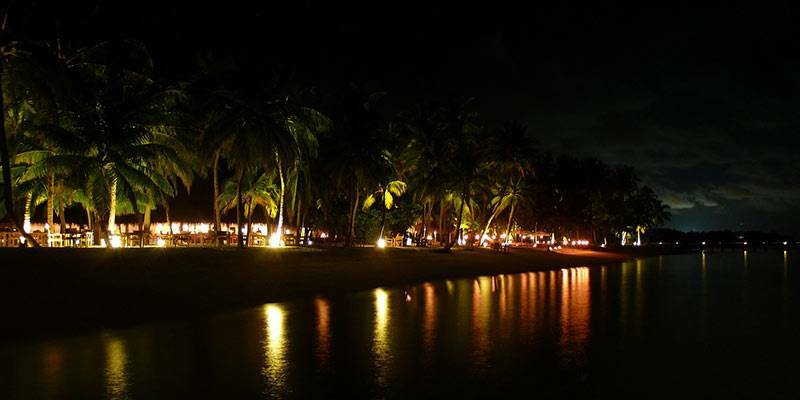 5) Enjoy Nightlife which Andaman Offers! Apart from breathtaking Marine life and exotic Mother Nature at Andaman, Nightlife is not as bright as Goa can be. This island is known for its beaches and it’s out grown nature, and nature only. Bars and pubs can be spotted around Port Blair but they are just scattered. Andaman may not be the best place for “Nightlife” that you may expect, but it is lively when people are strolled under the moonlight near the shoreline and counting stars under the clear sky view with no pollution to be worried about. Chidiya Tapu is called the “Island of Birds”, one requires patience to watch the birds through the rough climate change or other disturbance in nature. The wetland in Port Blair is the home for the birds over 270 species, also an easy way to look at the local flora and fauna. 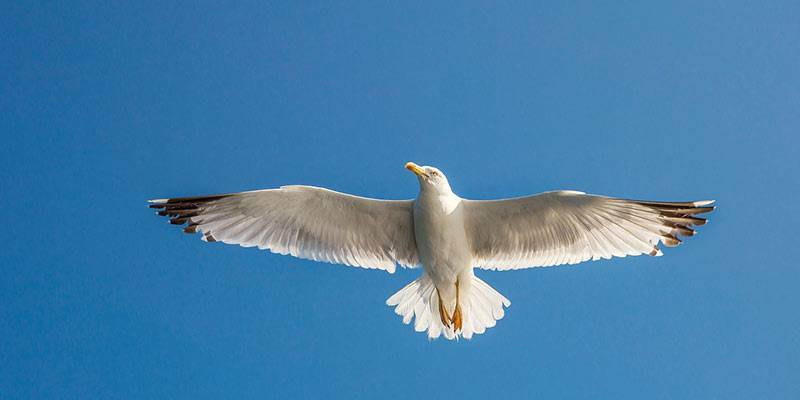 The Bird watching tour in the Andaman Island will tick most of your endemics in 5 days. The Andaman and Nicobar islands have a total of about 22 endemic birds’ species to be spotted. 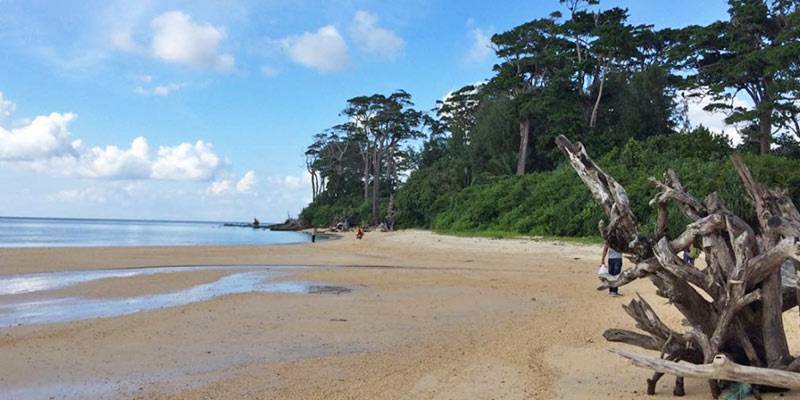 Since only parts of the Andaman Islands have recently been opened to tourists only 15 endemic species are accessible are the other species are found on islands that are not open to tourists and visitors. Special tours are usually organized for the Narcondam Hornbill. Andaman and Nicobar Islands are a group of 572 islands in the waters of Bay of Bengal closer to Thailand than to Indian mainland. If the stretches of white sand beaches, gigantic forests and exquisite Marine life are your thing, then Andaman might be the destination for you! The islands are at a distance of approximately 1200 km from the mainland. Blessed with colossal natural beauty, friendly people and relatively low cost of travel makes Andaman a backpackers’ paradise! Of the 572 islands, only about 38 are inhabited and out of them, very few are accessible in Andaman while Nicobar is completely out of bounds for everyone other than locals of Nicobar and government servants posted in these islands. But, nevertheless, it is definitely a vacation you should go for! So what are you waiting for? We’ve got the information ALL you need for an adventure of a life time. All you got to do is book the flights. Who knows, you’ll be a story teller when you come back!